There’s only one thing Phil & Gail Close, and their team, enjoy as much as welcoming you and your loved ones to their beloved family owned vineyard and cellar door at Woongooroo Estate, and that’s bringing their fine wines into your home to be enjoyed with your favourite meals. 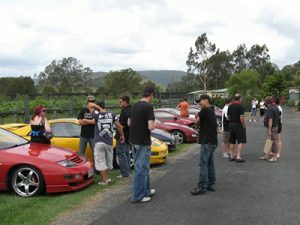 As one of the first wineries to be established in the Somerset Valley Wine Region in Southeast Queensland, the Woongooroo Estate Winery and Cellardoor offers the perfect setting for a variety of wine tasting experiences, enjoyable meals, social events, celebrations, private gatherings, and more. The size of this vineyard, coupled with Phil and Gail’s passion and knowledge for the region, enables them to deliver their award winning wines, complimented by local cheeses, and a wealth of Somerset Valley Region knowledge that could leave you wondering momentarily if you’re visiting a quaint winery or a perfectly positioned information centre. This really is a wine tourism experience at its best. 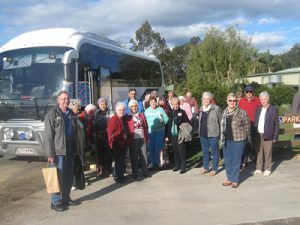 Celebrated for their unique Wine and Cheese Matching experience, The Estate is also regularly frequented by seniors’ bus tours, car rally enthusiasts, and clubs of all sorts. Visits are often garnished with timeless entertainment and laughter filled bush poetry recitals, making Woongooroo Estate memorable beyond compare! 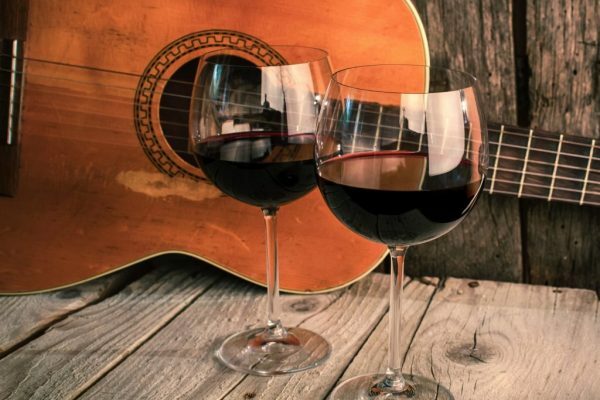 Be sure to explore our Blog & Recipes page for great Featured Articles like “Phil’s Guide to Wine Tasting”, “The Woongooroo Wine Maker”, and “Top Tips for Food and Wine Pairing”. Woongooroo Estate is a family owned, boutique vineyard producing award winning wines for almost three decades. 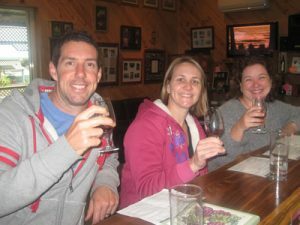 Phil & Gail were passionate educators long before venturing into and enjoying sharing their extensive viticultural knowledge. Since planting their first crop in 1997, their now established vineyard in South East Queensland also features a small olive grove with equal numbers of Manzanillo and Frantoio (Paragon) varieties. The Estate’s varieties including red wines, white wines, sparkling, and ports, offer fresh and exciting gold, silver and bronze award-winning tastes within the burgeoning Queensland wine industry. 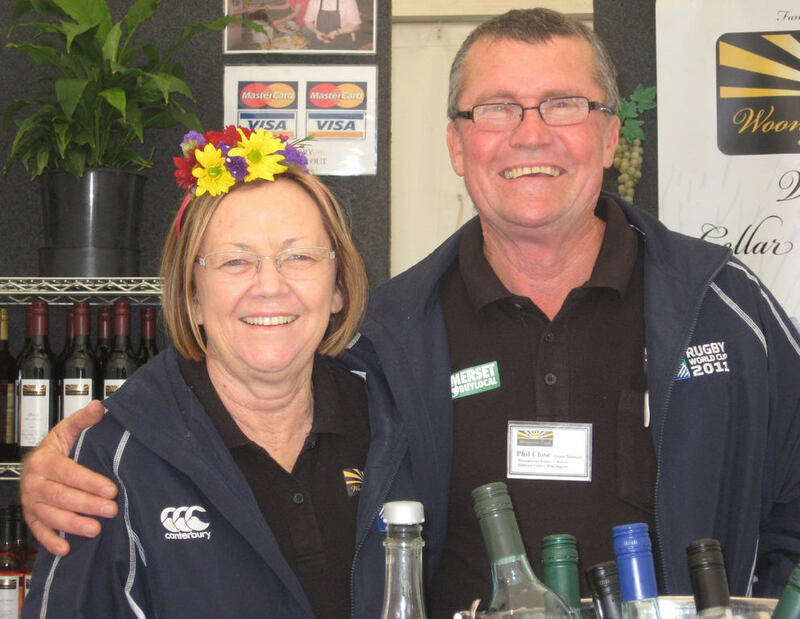 Phil and Gail are committed members of the Somerset Valley’s Grape and Wine Producers Association Inc. – Phil holding the role of President since 2011. This grower group’s mission is to produce quality Somerset Region grapes, providing superb local wines, and a distinctive regional wine trail. This Southeast Queensland vineyard is situated at the base of Mount Archer. The rich volcanic soil provides the perfect setting for the production of quality wine grapes. Woongooroo Estate is bordered by the perennial flowing Neurum Creek from which vines are selectively drip irrigated to ensure maximum benefit to the developing complexities within the grape and resultant wine. 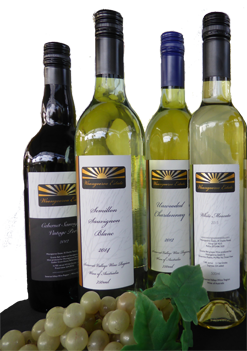 The Estate makes a superb range of wines with style – styles of wine which are proudly Queensland. 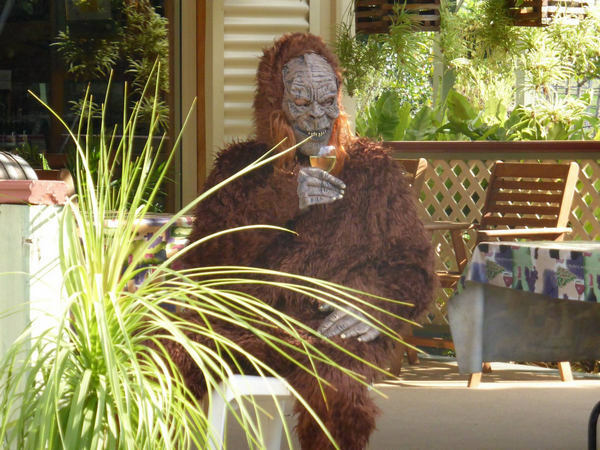 We often see ‘Yowie’ sitting around the Estate, sipping on a wine and mingling with visitors. Yowie shares his Wine Tasting Notes, Recipes & Event Updates via his own newsletter!! !